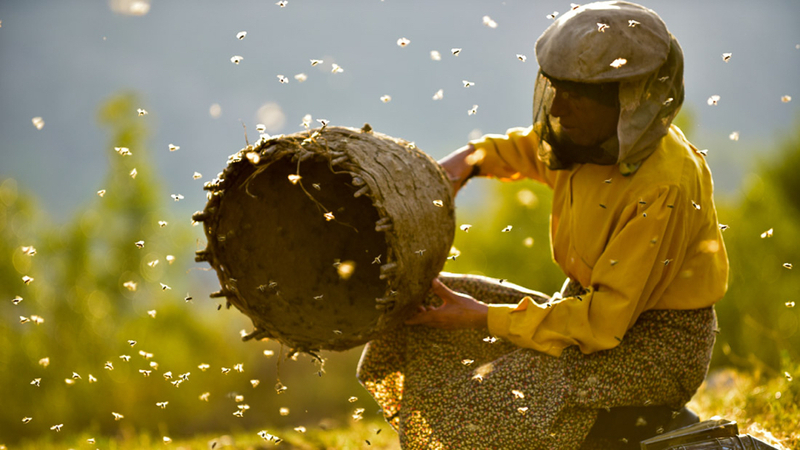 The last descendant of a long line of Macedonian wild beekeepers, Hatidze Muratova lives together with her bedridden mother in an abandoned village. The last people in a village without electricity or running water, Hatidze makes small batches of honey that she sells in the closest city, four hours’ walk away. But one day, her quiet life is upended when a new family with seven loud and unruly children decides to move in next door, and they will stop at nothing to take what they want. Winner of this year’s World Cinema Documentary Grand Jury Prize at Sundance, HONEYLAND is a beautiful and poignant meditation on loneliness and the fragile symbiosis between humans and nature.